The competitive edge of success for B2B and B2C marketing and sales departments today is undoubtedlythe databases the company uses, maintains and accesses. It isn’t an understatement to say it’s all about the database. Good databases save marketing budgets, increase salespeople’s measurable productivity and lower the cost of customer acquisition. 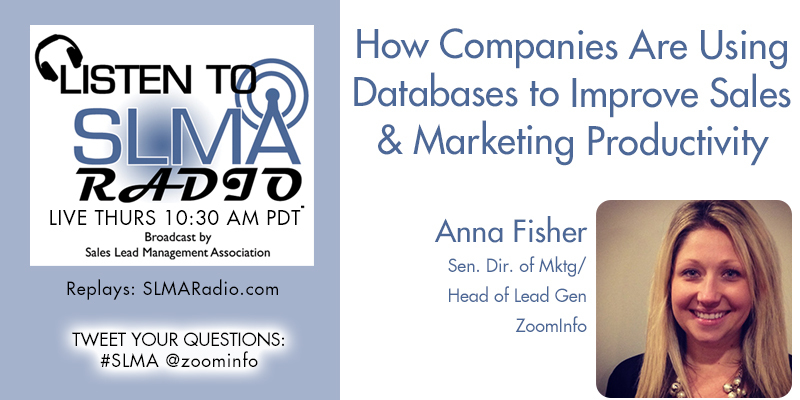 Our guest to discuss how this is accomplished is Anna Fisher, Senior Director of Marketing at ZoomInfo. Anna, who has been voted the most inspirational leader in the Lead Generation category of the Sales Lead Management Association’s annual 40 Inspiring Leaders election tells us why the database you use can make a difference between success and failure. The host is Jim Obermayer. 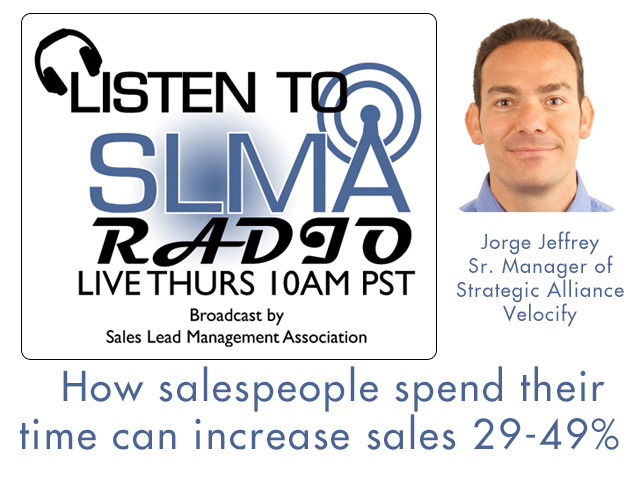 Guy De La Cruz reprises his appearance on SLMA Radio as we tackle the ever evasive end game of automating the sales lead process. 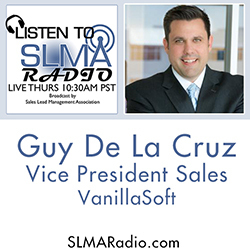 In his last program on July 26, 2016, Guy discussed the subject Why Sales Lead Management Workflow Can Increase Sales 30%. 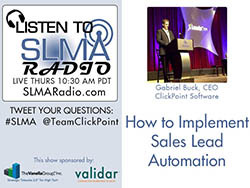 This time we delve deeper into the subject to discuss the 5-6 actions marketing can take to painlessly automate sales lead management. The host is Jim Obermayer. Kenneth Krogue joined Sales InsideSales.com in November 2004 and manages marketing, inside sales, channels sales and development. In this role, he is responsible for working with the chairman and chief executive officer to set the vision and strategy for the company as well as overseeing all day-to-day sales and marketing operations. 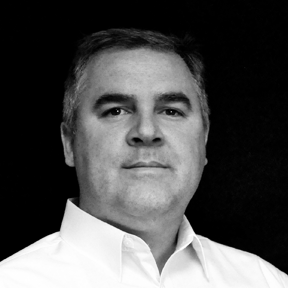 Mr. Krogue brings more than 15 years of experience in sales, development and marketing in both domestic and international markets. 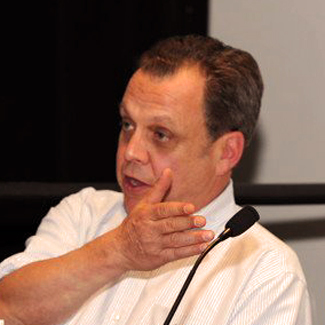 Prior to joining InsideSales.com, Mr. Krogue was one of the original founders of UCN (NYSE:UCNN), where he served most notably as the Chief Operating Officer. 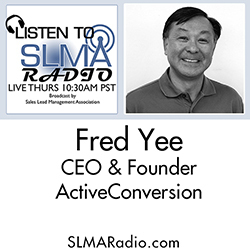 Prior to UCN, he created and directed the inside sales division at FranklinCovey (NYSE:FC), a leading provider of time and life management training systems. 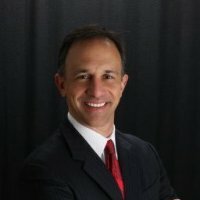 Prior to Franklin, Mr. Krogue's experience includes serving as Marketing Director for Infobases International, Inc., an information database company, and as Sales Manager for a Utah-based computer reseller. He attended the United States Naval Academy and earned a Bachelors degree in Psychology from the University of Utah.